We are a true believer in well design and well developed websites, after all we are all attracted to pretty things right? Investing in a great website would surely be a waste of money if nobody could find it… We offer professional bespoke SEO (Search Engine Optimisation) packages, tailored to each project. We are confident in what we do and have a great portfolio to prove it, our clients rave about what we do and we thrive from word of mouth. Contact us today to talk more about how we can improve your websites performance! 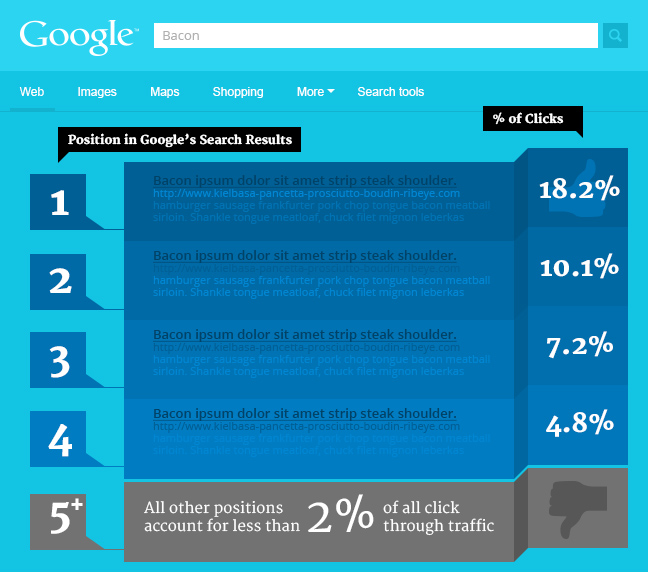 Where do the users click after they have made their search query?